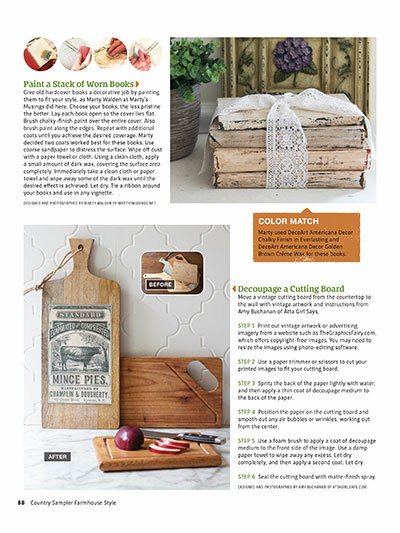 Take a breezy stroll through warm and bright summertime decorating in the Summer 2019 issue of Farmhouse Style. 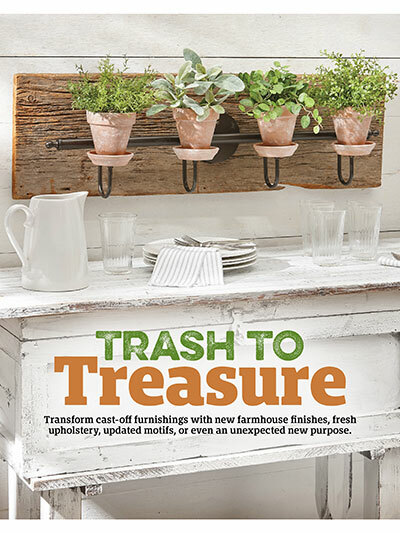 This inspirational issue is chock-full of more than 45 personalized DIY projects with step-by-step instructions, absolutely radiating the inventive beauty of farmhouse style! 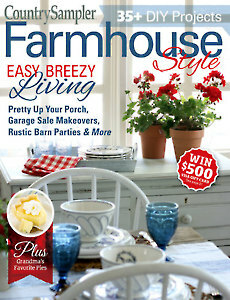 Live the farmhouse life! 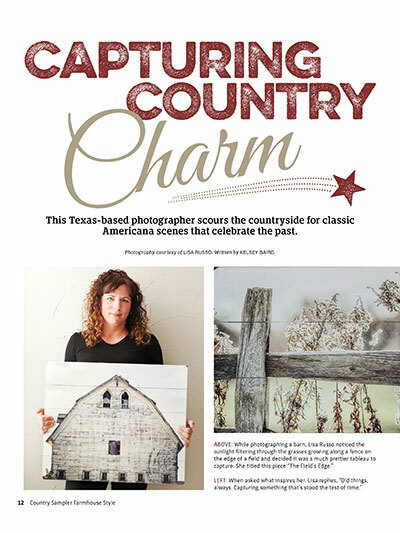 Join us as we uncover the mason jar’s past, scour the countryside for classic Americana scenes with a Texas-based photographer, discover farmers markets and food exchanges, peek in on a patriotic Fourth of July barn party, and learn what it takes to become a backyard beekeeper. 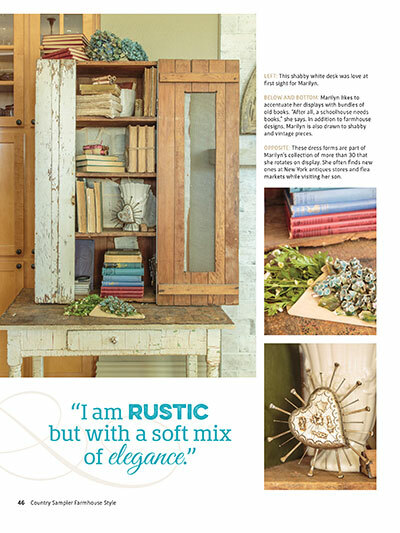 Revel in fresh farm style! 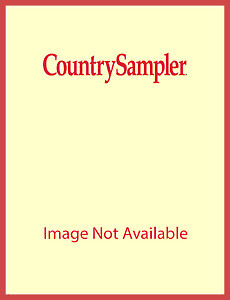 Take a virtual tour through four cheerful homes and become entranced with their personalized takes on farmhouse flavor. Discover how an old brick schoolhouse got transformed, enjoy the updated ambience of a 1970s ranch, step inside a trendy tiny home, and see how traditional farmhouse looks got a European upgrade. 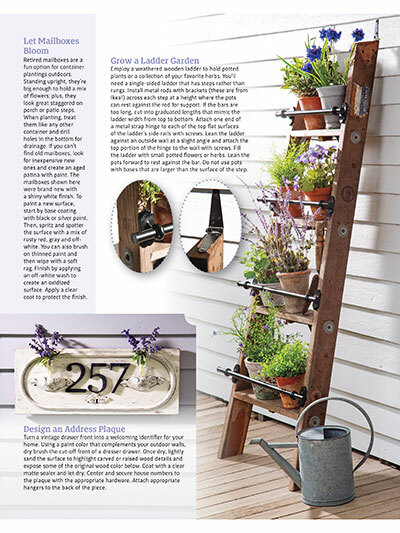 Delight in DIY! 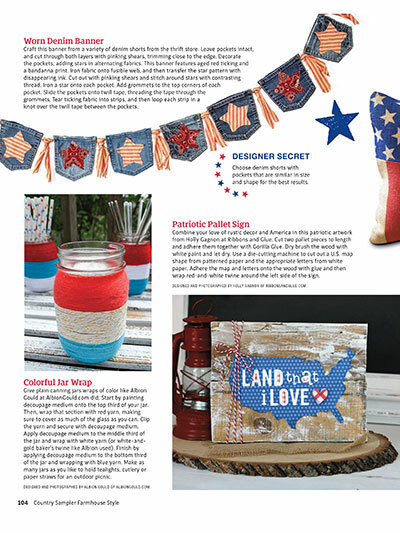 Reinvent everyday garage-sale items into fabulous new pieces, make magic with mason jars, discover fun ways to perk up your porch, enjoy tried-and-true pie recipes straight from Grandma’s kitchen, and add sparkle to your summertime decorating just in time for the Fourth of July. Plus much more! Get your digital copy (or subscribe) today!